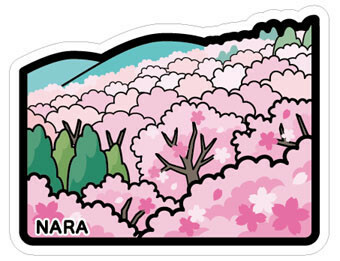 Also featured in the most recent postcard element post, today we’re in the Kansai region to look at Nara’s Mt. 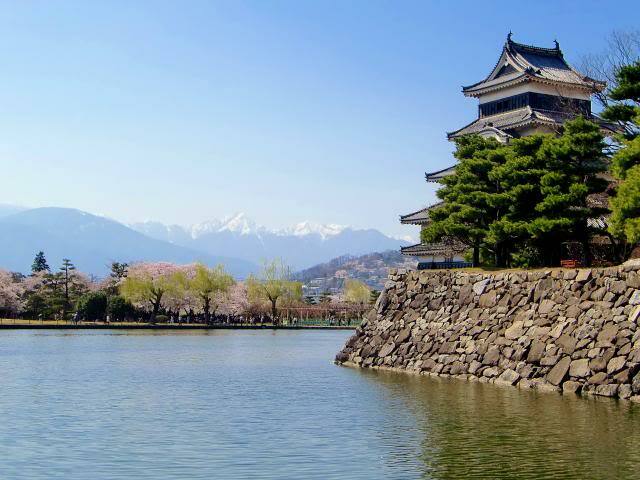 Yoshino, famous for its cherry blossoms in the spring, which currently are in full bloom! This is actually Japan’s MOST famous spot for sakura, eclipsing even Ueno Park’s popularity. Mt. 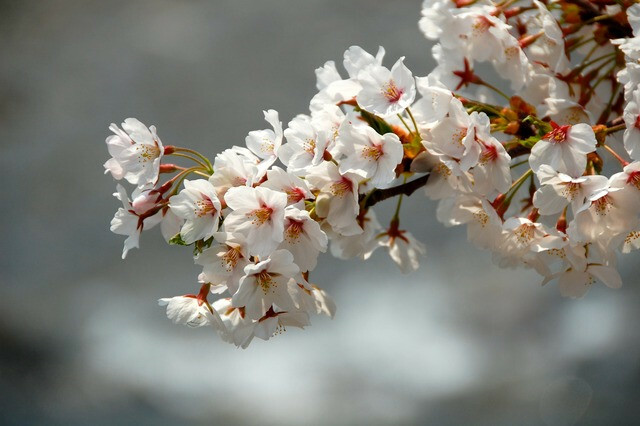 Yoshino also offers a great chance to see the blooms for a long period of time, due to the different elevations of the trees. From when the trees bloom at the bottom to when they bloom at the top can be a week or more difference, offering tourists a great chance to see them regardless of when they visit! 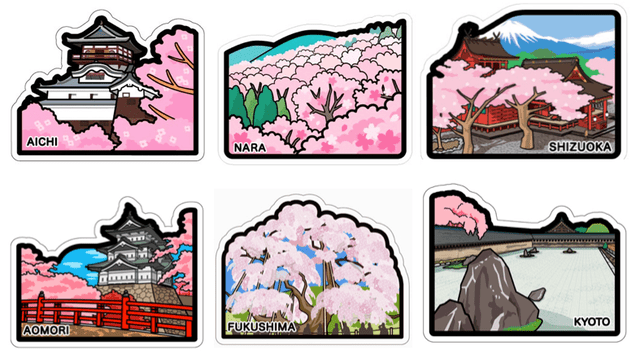 Well, outside of cherry blossom season you’re out of luck, but there’s more to Mt. Yoshino than its cherries, even if they’re the most famous part! There’s also several shrines and temples in the area to satisfy the traveler spiritually, and enough nature to give the weary a rest. 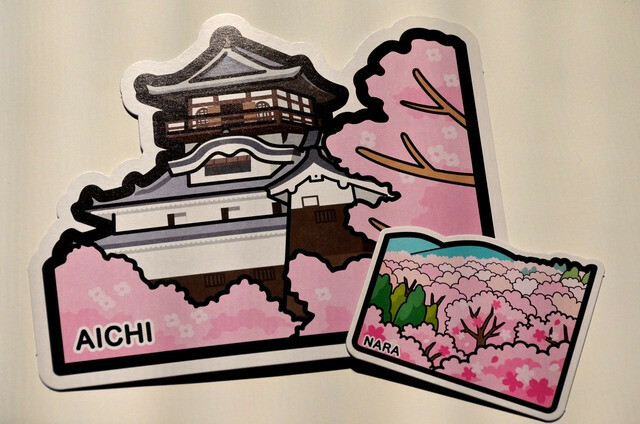 If you’ve got some time, oh… now, head to Nara to see Japan’s most famous cherry blooming spot! And take some pictures for me… I’ve never been! Ahhh, Spring has sprung! A number of exceptionally warm days has heralded the start of the sakura (Cherry Blossom) season, and blooms have popped open on trees like popcorn, seemingly overnight! It feels like only yesterday it was cold and miserable, with the plums barely starting. Now it is a huge change! Today I bring you another Postcard Element Post, this time highlighting everyone’s favorite flower! It seems to be postacollect’s favorite too, as we have a whopping 6 postcards featuring or containing sakura! I hope you can enjoy these beautiful flowers! So, I’m actually supposed to be in Gifu now, sightseeing and taking pictures, and of course, buying my postcards. Unfortunately, the typhoon that hit us this weekend derailed those plans. We could have gone, but torrential rain and the possibility of mudslides didn’t sound too appealing when it was easy enough to change our plans. So I’ll be visiting Gifu this coming weekend instead, and meanwhile, I’m going to start talking about some of my favorite postcards in the Gotochi collection: The Castles. 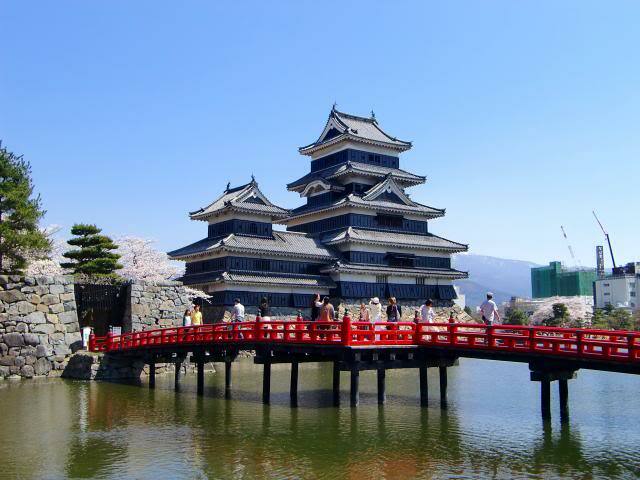 Let’s start with the first I ever visited, waaaay back in 2009 before this postcard even came out (it’s 2010’s version): The beautiful black castle of Matsumoto, Nagano! You can find some info on its history and features, plus opening times and costs, here. 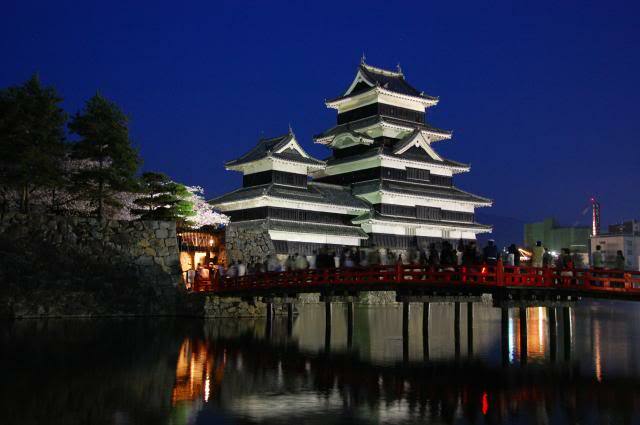 Not only is the moat very photogenic, you can also see the Japan Alps in the background, still snowcapped of course! Night views of this castle are also really beautiful! As you can see, I went during cherry blossom season, which was a truly beautiful time to go! The pink flowers/red bridge/black castle combination is a really nice one! At that time, I was still using a point and shoot camera (ah, way back when…) so these pictures don’t do it justice. Matsumoto is actually on the way back from Gifu for us, so I might be able to stop and take some new pictures! 2015.01.20: I’d like to add a interesting video of Matsumoto I recently discovered on youtube. This video, part of NHK’s 5 minute Fudoki program, is an interesting look at the defenses of the castle, including a recent find in the moat! It’s worth a watch!